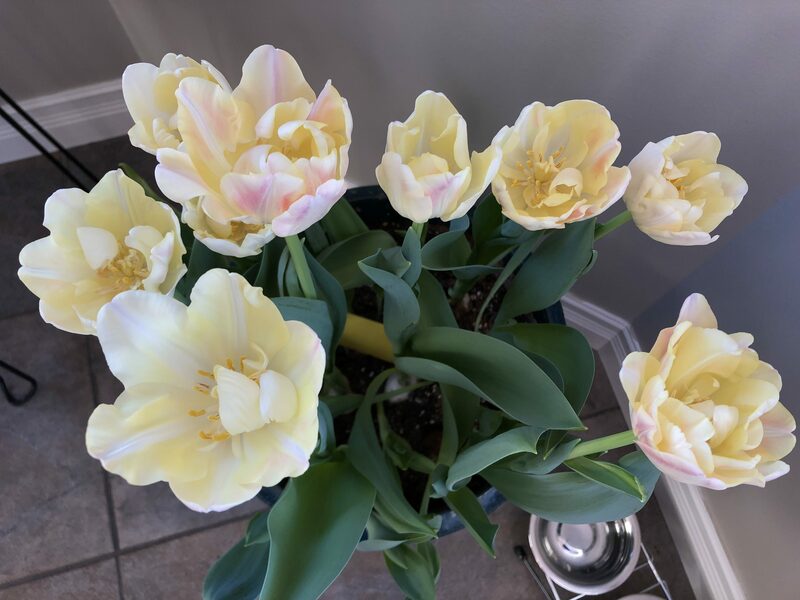 Another pot of my forced tulips is blooming this week – this time a very beautiful pale yellow with pink accents- a double variety called Creme Upstar. And as a bonus, my Christmas Cactus is blooming for the fourth (!) time in 12 months. I don’t know what has gotten into it, but it is going for broke! Clearly your thumbs are very green.